Wikis are a great way to communicate and work on a project with other people, but hosting your own wiki can be complicated to work with. Today we’ll show you how to setup your own Wiki page with Google Sites. Note: naturally this post is meant for beginners, so the more advanced users should probably skip this one. 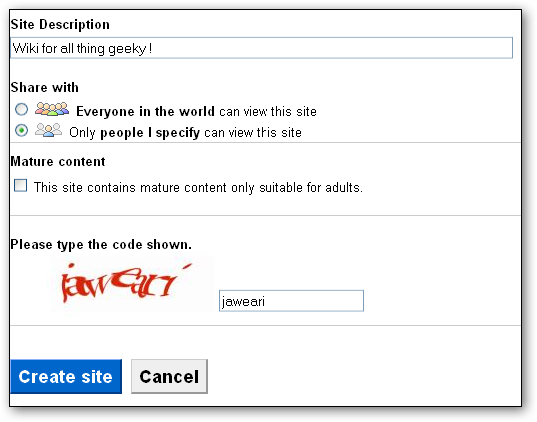 We need to sign up for an account in Google before we can create a Wiki with Google Sites. Once you have your Google account, go to Google Sites and click the ‘Create Site’ button to start creating your own Wiki. Google Sites has different templates that we can choose from for our website. Select ‘Project Wiki’ to start creating your wiki. Specify a name that best describe the purpose of your wiki. 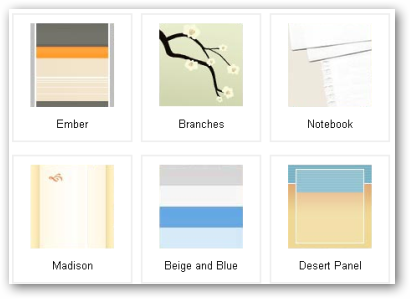 We can even make a visually engaging wiki with a selection of themes. Google gives us the option to publicly share our wiki or share the wiki with a group of people that we are working with. Adding collaborators and members in the wiki is quite simple. Select “Share this site” from the more actions dropdown and enter the email address(s) of collaborators you want to add. You can invite people to collaborate on your wiki by sending email invitations. We can even give different permissions to each person who we invite to edit our wiki. There is a lot of customization that we can do with our Wiki. 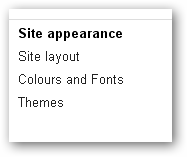 Start by accessing the site management editor by clicking the ‘Manage Site’ menu. The site editor let us customize the site layout, color, fonts, and theme. Click the ‘Color and Fonts’ menu to change the site background, header, image, and fonts colors. 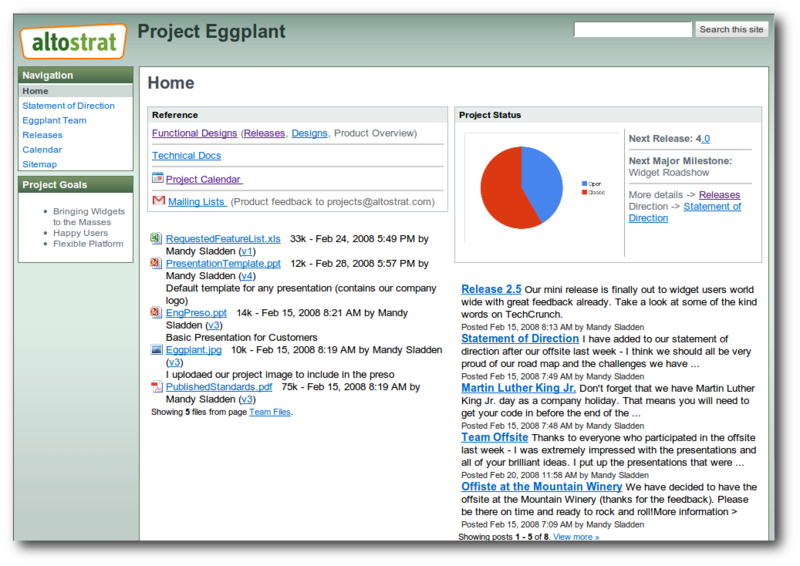 Google Sites is tightly integrated with other Google products such as Picasa, Spreadsheet, Document, Presentation, etc. 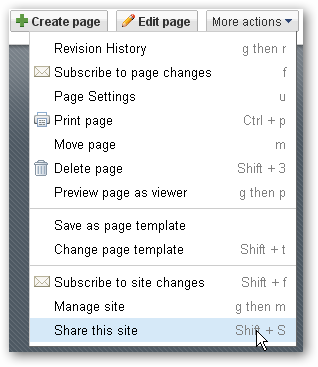 To begin inserting these elements into your Wiki, begin with clicking the ‘Edit Page’ or ‘Create Page’ button. 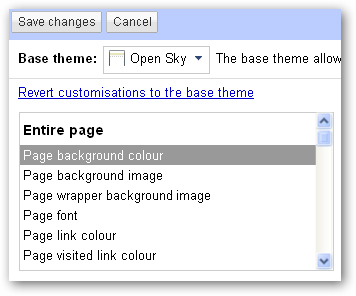 Click on the ‘Insert’ menu and choose the Google product that we want to incorporate into our wiki. The great thing about Google Sites is that we can put our Google documents (spreadsheet, presentation) or Picasa photo album into any sites that we create in Google Sites. Google Sites makes it easy for us to create Wikis without any technical know-how. It has a user friendly interface that allows us to create visually appealing and easy to use Wiki, just take a look at this Wiki site. Now you can use Google Sites to create your own Wiki and use them in your work.